The newest wave of revolutionized industrial products is here. The corrosion- resistant Hastelloy alloy series provides an invincible shield to the numerous pipes, rods, sheets, coils and other products made with one of the many Hastelloy alloys. These alloys are known for being extremely heat, corrosion, and crack resistant, which is what makes them so attractive in the energy, environmental, oil and gas, and pharmaceutical fields. Shanghai Metal Corporation carries a wide variety of all the different types of Hastelloy alloys for every occasion. The B- 3 alloy proves to have a strong resistance to high temperatures and high concentrations of acids, such as hydrochloric acid and sulfuric acid. The C- type alloy family is the most versatile of the Hastelloy alloys. 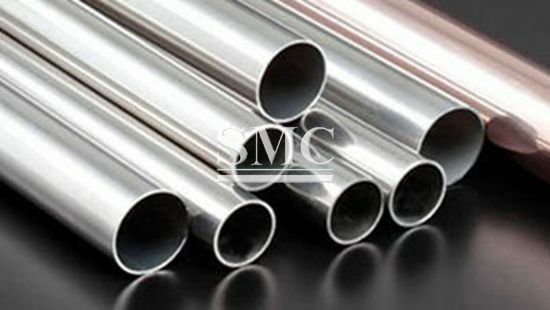 SMC carries the C-4, C-22, C-276, and C-2000 alloys, which all have slightly different characteristics, yet remain a stringent force. The C- 22 alloy is better known for its resistance to oxidizing and non-oxidizing chemicals, and it is sturdy when it comes to pitting, crevice attacks, corrosive erosion, and cracking. Not only does this alloy act as a rock solid product, it can be used as protection against harsh FGD systems and pharmaceutical reaction vessels. The C- 2000 is a true breakthrough for chemical processing equipment as it combines the large heat resistance with oxidizing and non- oxidizing resistance. The unique feature about C-2000 is that it had an additional copper addition that provides durability against sulfuric acid, as well as a high chromium concentration to maximize its’ resistance. More variants of the Hastelloy family are the G-30 and G-35 that have proven to be very successful as components in the fertilizer industry. With the use of these alloys in any of your company’s projects ranging from welding to farming to chemical processes, the performance of these parts will be unmatched. They can withstand insurmountable pressures and processes that will allow you to perform more reliable and efficient work. SMC wants to be part of helping your company grow towards a more efficient future. For more information and prices on the various Hastelloys at SMC, please visit our website. Follow us on Twitter, Facebook, and LinkedIn for updates on our products and company.